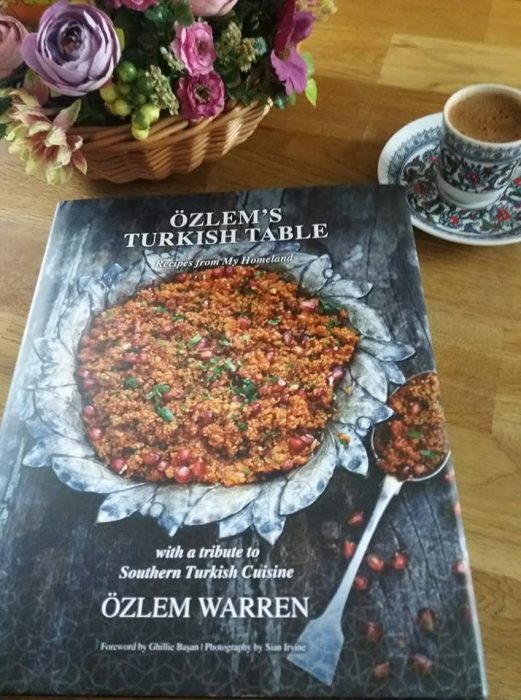 I wanted to share my excitement with you, as I just had a delivery of my sample hard back copy of my cookery book, Ozlem’s Turkish Table, Recipes from My Homeland! 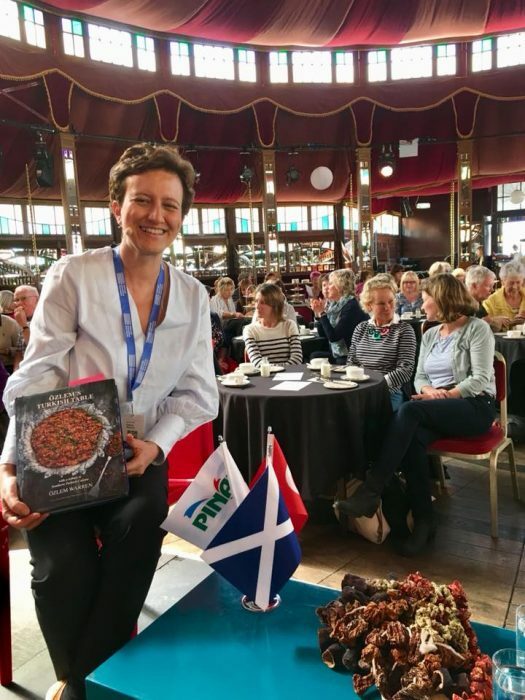 It has been a hugely special and quite a surreal moment to hold the physical book in my hands; over 10 years in the making, a dream becoming true. 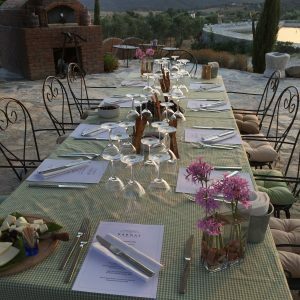 And it really looks beautiful – as expressed by family and friends nearby, who had a chance to see it. 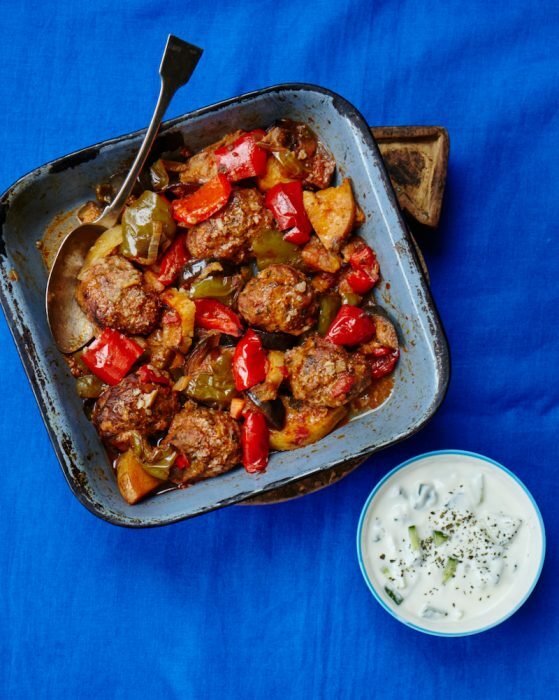 Absolutely stunning colours and photography, warmth and sincerity with my family photos, personal stories, delicious, wholesome recipes and more. 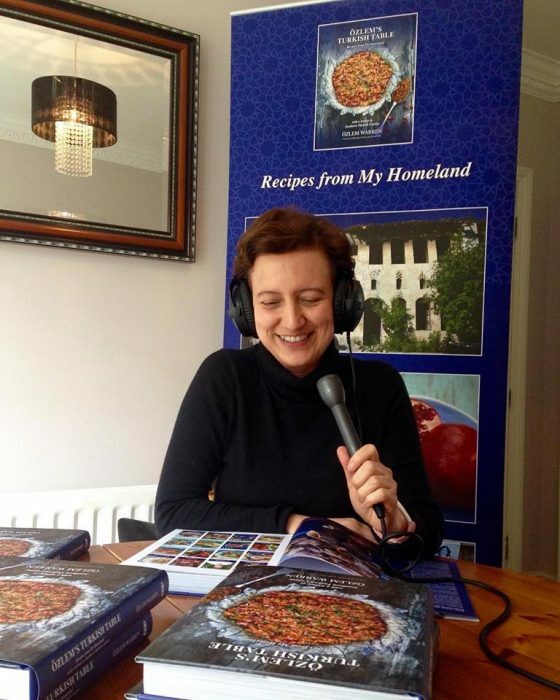 I am very proud of it and can not wait to share with you all! 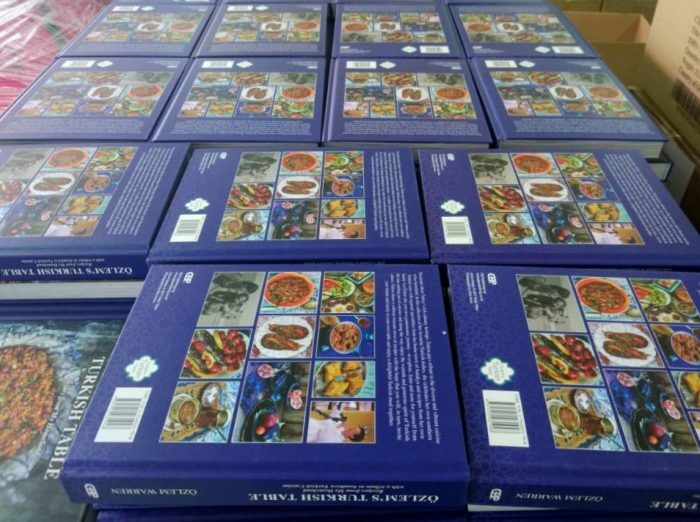 Ozlem’s Turkish Table cookery books packed ready to go! 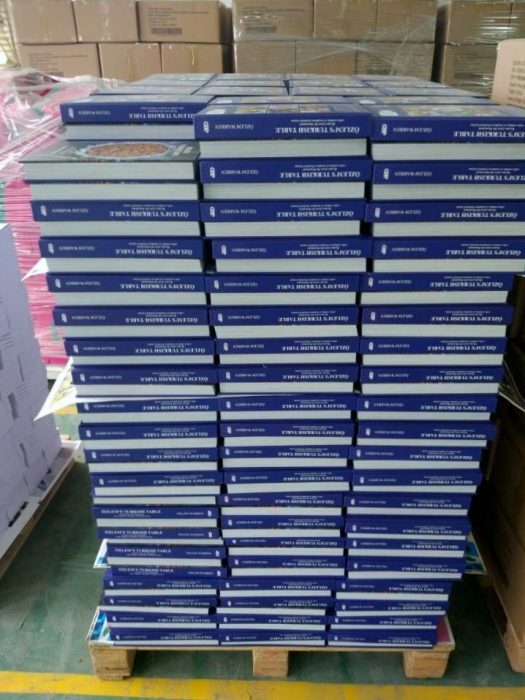 Also, delighted to inform you that as I write this blogpost, the books are being packed at the printers in Hong Kong to be delivered!! 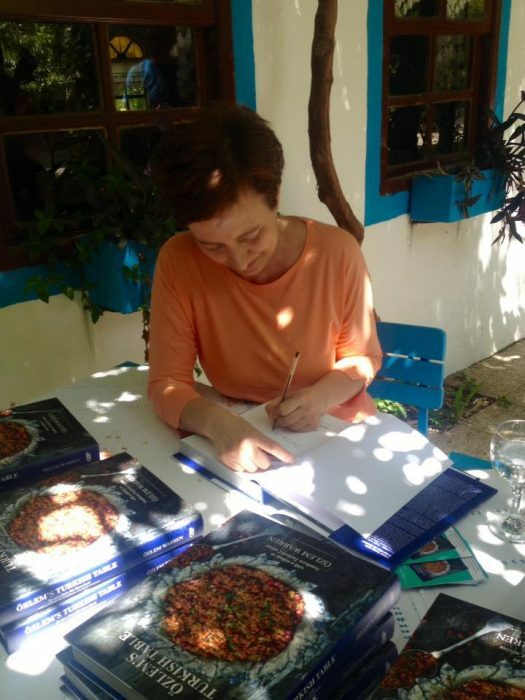 We expect the Ozlem’s Turkish Table cookery books to arrive by end February and as soon they make it to me by early March, I will be signing each and every pre-ordered copy and they will be delivered as the first priority, so very exciting 🙂 I can not thank each one of you who very kindly pre-ordered as it helped us hugely to determine the initial print run and helped finance some of our costs, my sincere thanks. 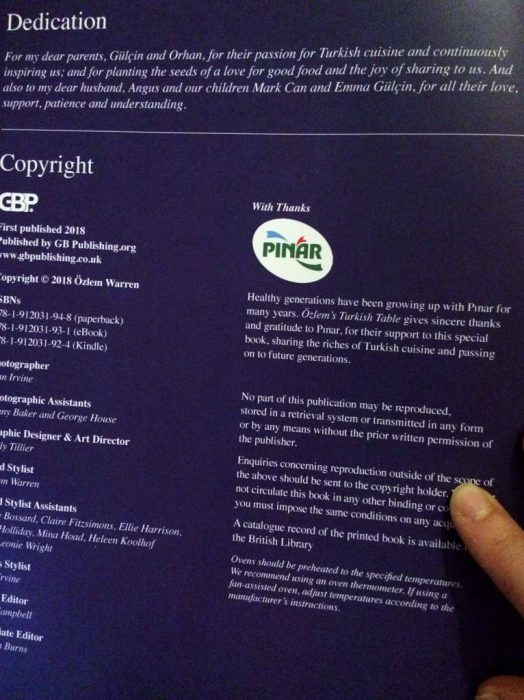 Also, my very sincere thanks to Pinar for their support for my book and their help to spread the word on Turkish cuisine abroad. 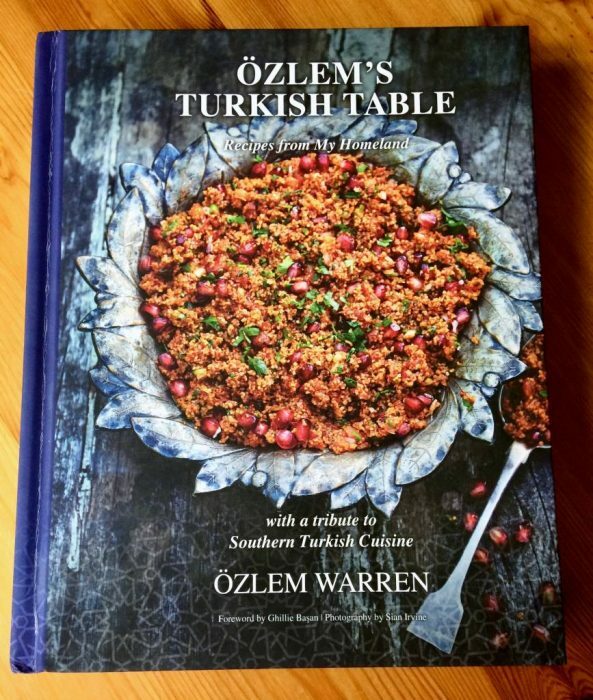 You can still pre-order your copy of my cookery book, Ozlem’s Turkish Table, at this link, with 10 % pre-order discount (please enter promo code Pre-Order Special at the check out for the discount). I will gladly sign each pre-order copy and they will be mailed in March, ahead of the release date in end April. 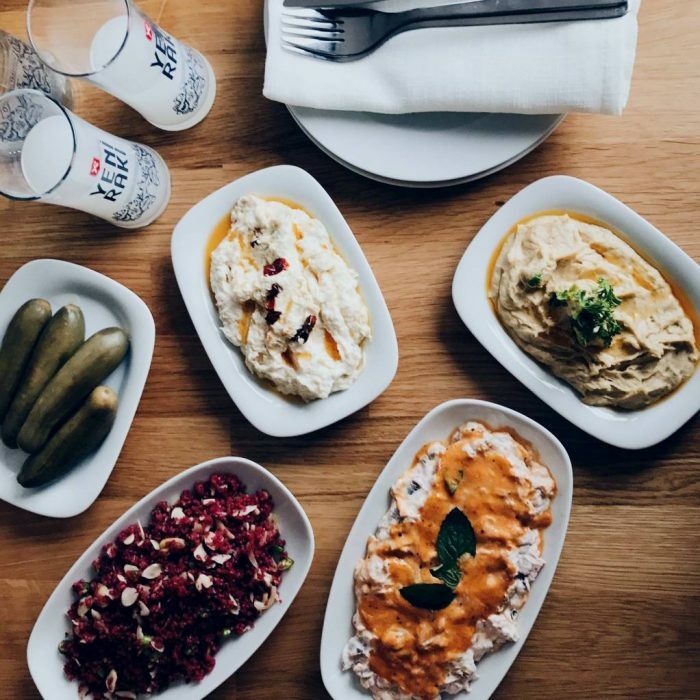 Not long know! 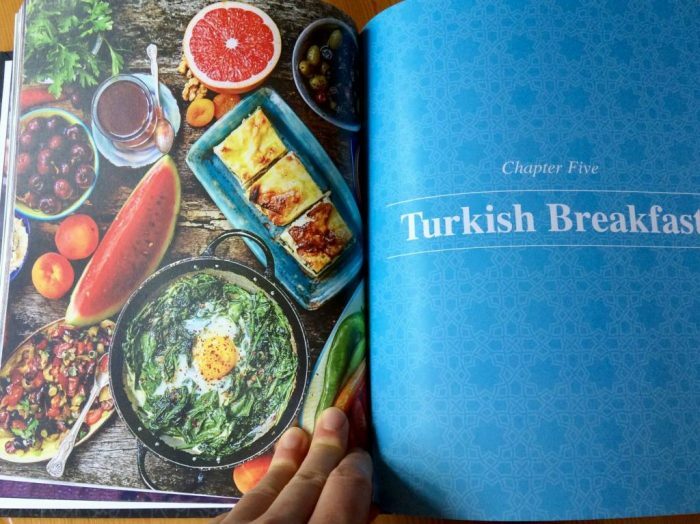 Turkish Breakfast Chapter – one of my favorite chapters! 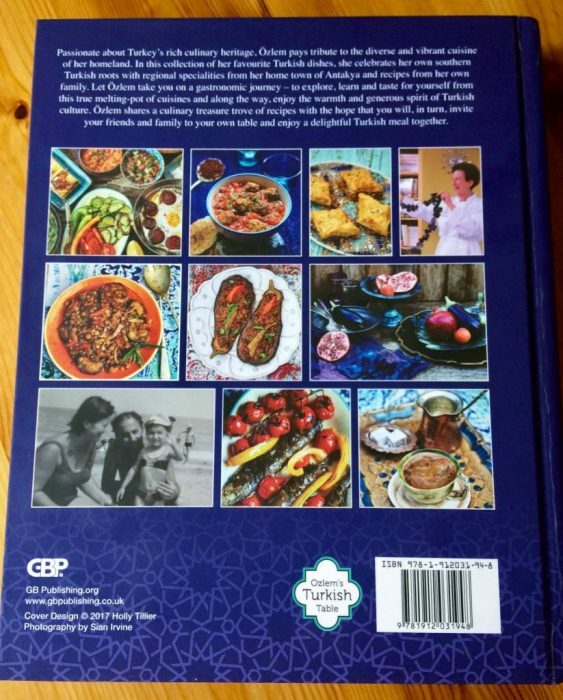 As I share a few images from my sample cookery book, I also hope that this special book would inspire folks not only to try delicious, wholesome Turkish cuisine but may encourage to have a go and pursue their dreams.. 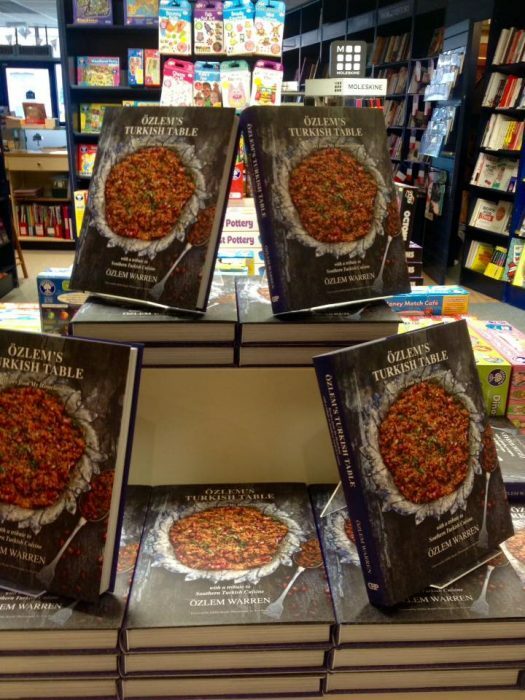 This book has been my dream over 10 years and finally becoming true. 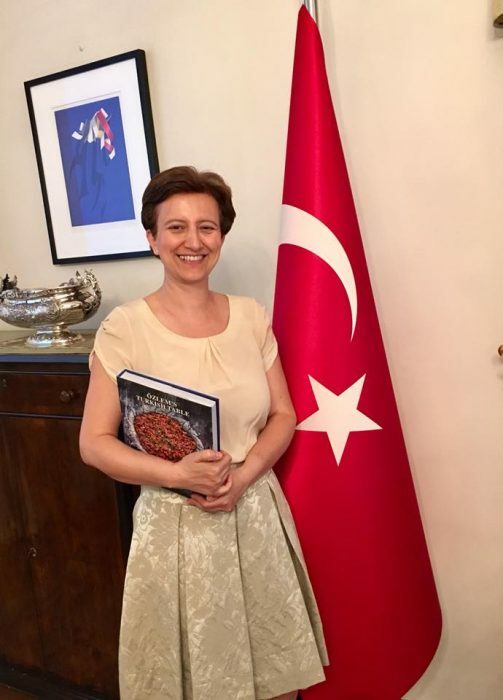 I had that burning desire of not only sharing my homeland’s delicious cuisine but also wanted to leave a legacy behind for the next generations, my children and wanted to make a tribute to my southern Turkish roots and to thank to my parents, who instilled in us the love of good food, importance of sharing and hospitality. 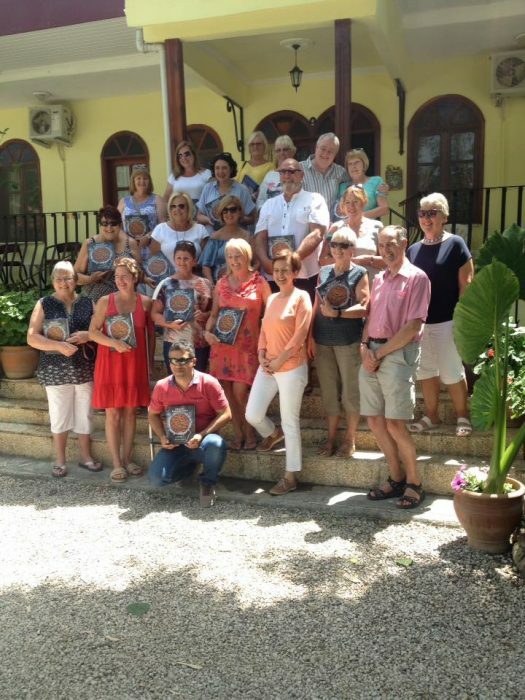 I am ever grateful to them. 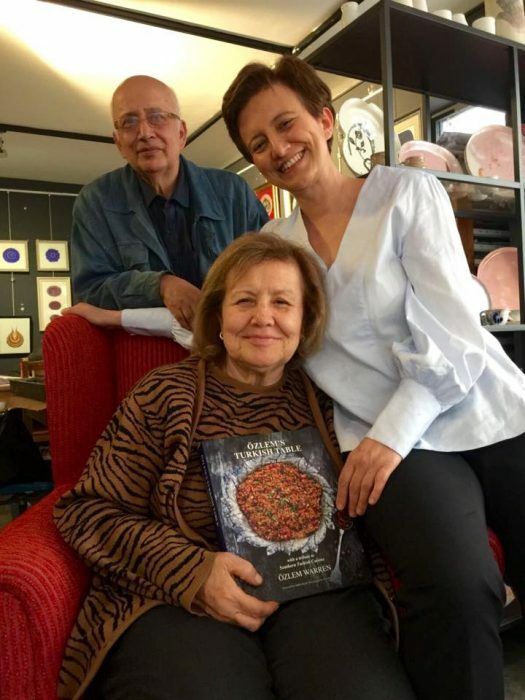 So I truly hope that as you hold this special book to my heart, you will feel the warmth, sincerity, hard work of over 10 years and I sincerely hope that it may inspire you to have a go at whatever in your heart. Life is too short to delay dreams and even if it is a baby step you take each and every day, it will grow and make your dream become a reality before you know it. 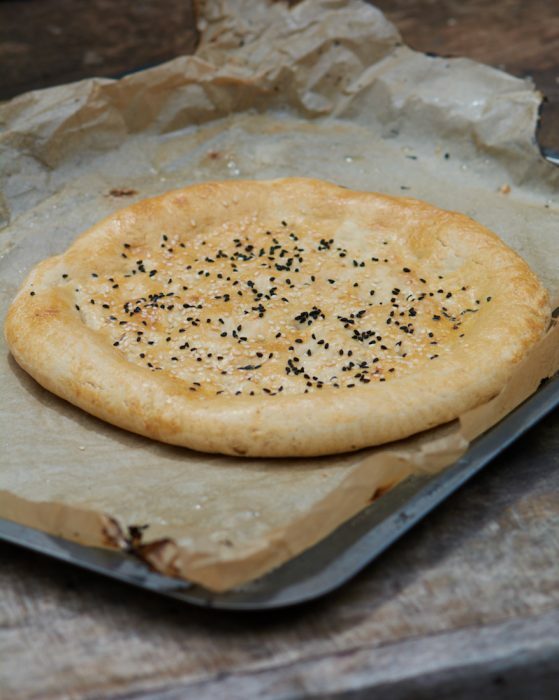 Nothing to loose and it will provide you special rewards along the way, no doubt – a very special journey. 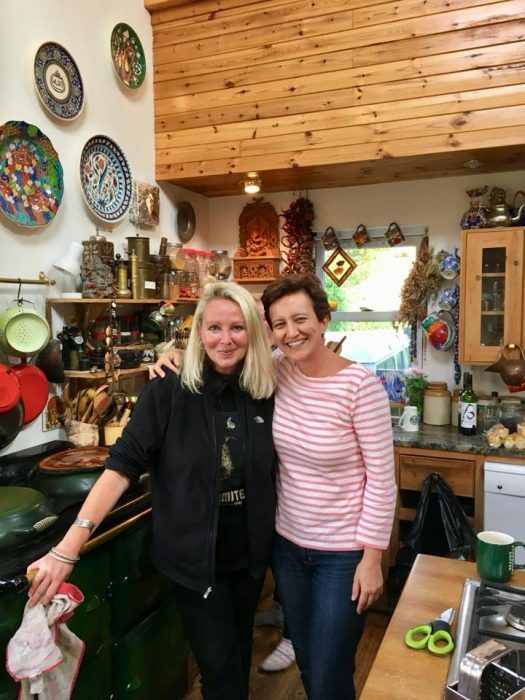 We are planning many book events as of mid March and would love to see you in one of these events. 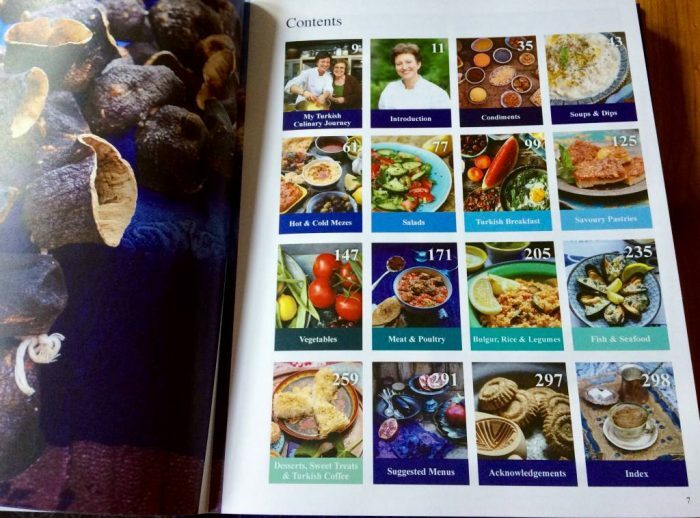 March will be devoted for pre-orders and all pre-oders will be given signed copies. 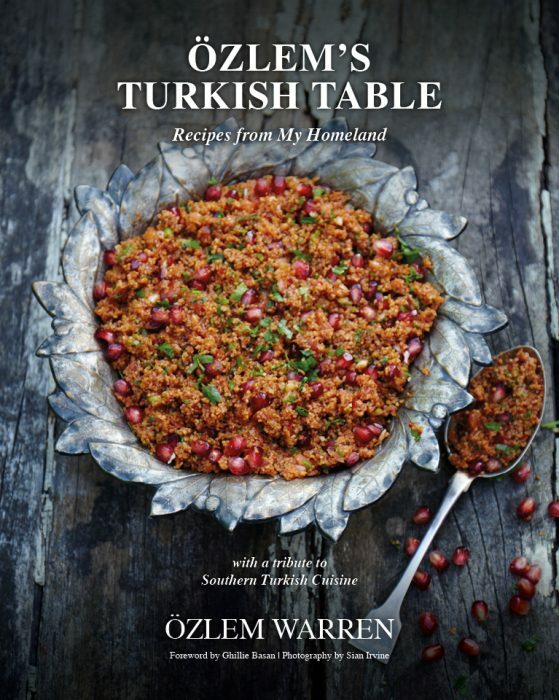 On March 15th, 6.30pm, we will have Ozlem’s Turkish Table book signing and food event at Riverhouse Barn Art Centre. 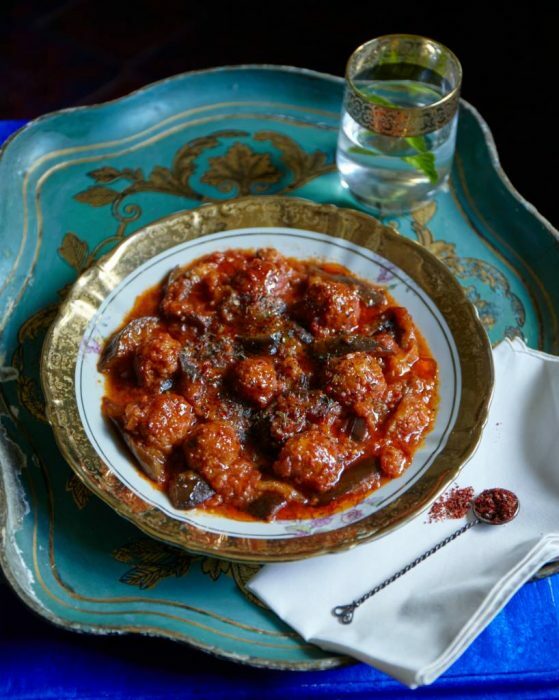 I will serve delicious vegetarian courses from my book and will demo the smoked aubergine salad, Patlicanli Eksileme, from my cookery book. 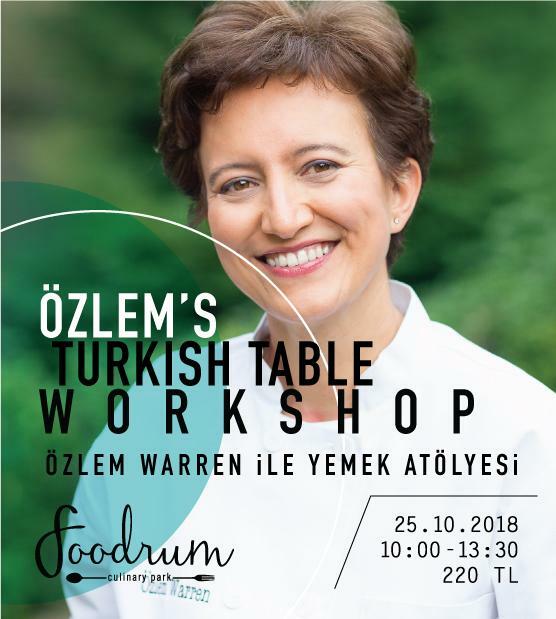 You can also pick up your signed copy of Ozlem’s Turkish Table with 10 % pre-order discount at this event. 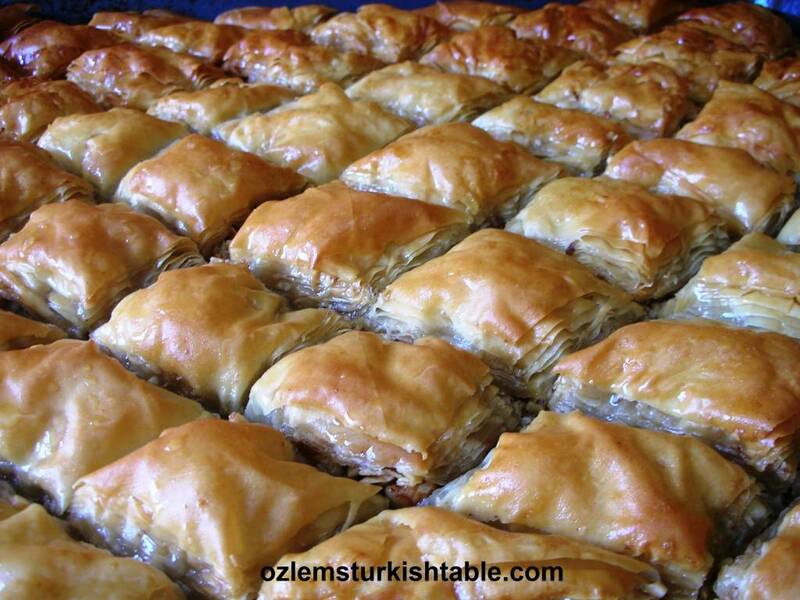 Please kindly book at this link for this event, it is likely to sell out soon. 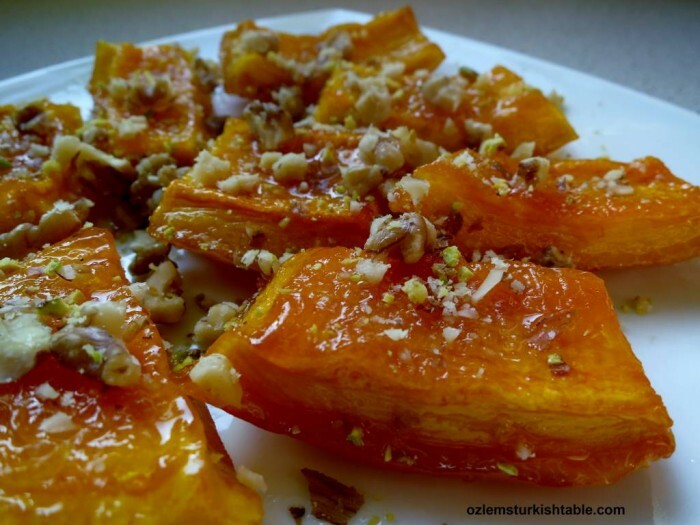 On 20th March, I will be teaching A Vegetarian Turkish Feast cookery class at Divertimenti Cookery School in London. 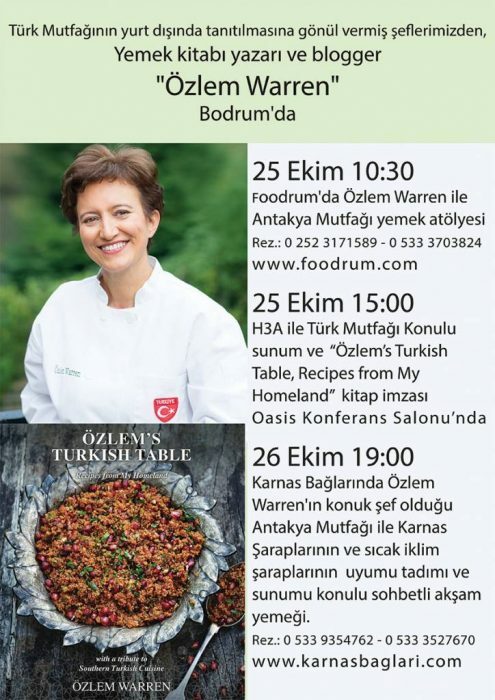 I will demonstrate ‘Sebzeli Pide’ (Turkish oval flatbreads with spinach, feta, peppers), ‘Imam Bayildi’ (Stuffed aubergines with tomatoes, onions, garlic in olive oil), ‘Kisir’ (Spicy bulgur wheat salad with pomegranate molasses and pomegranate seeds), ‘Kayisi Tatlisi’ (Baked dried apricots with walnuts) and Turkish Coffee. 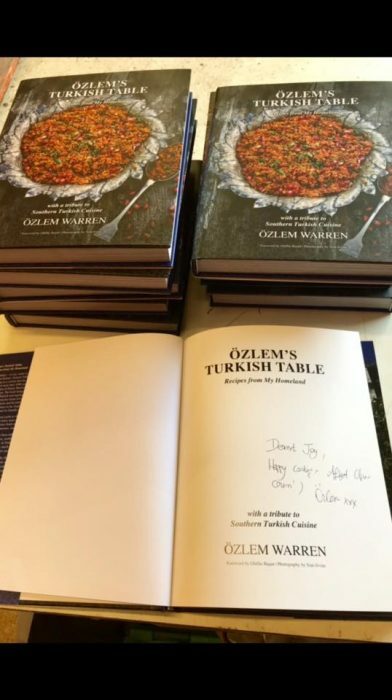 I will also have signed copies of my cookery book, Ozlem’s Turkish Table. 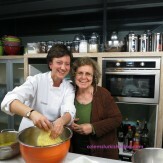 Please kindly book at this link, if you like to join us at this special class. 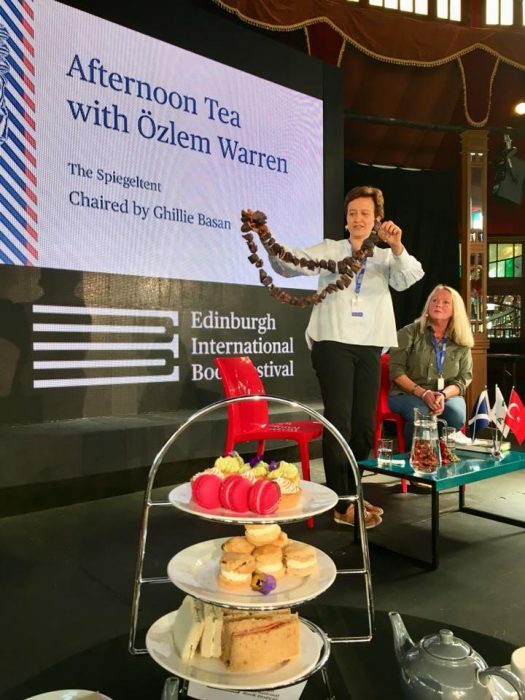 There will be more to come including more book signing and demontrations, appearance at the Edinburgh Book Festival – with huge thanks to dear Ghillie Basan-, cookery workshops in Amman – Jordan, book launch events in Turkey and fingers crossed cookery classes and book tour in the USA – Texas and hopefully more – all in the process of arranging, I will update the events here and do hope to see you in one of the events. 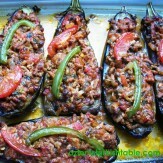 We have been making at lot of Lentil soup with vegetables, Mercimek Corbasi, lately. 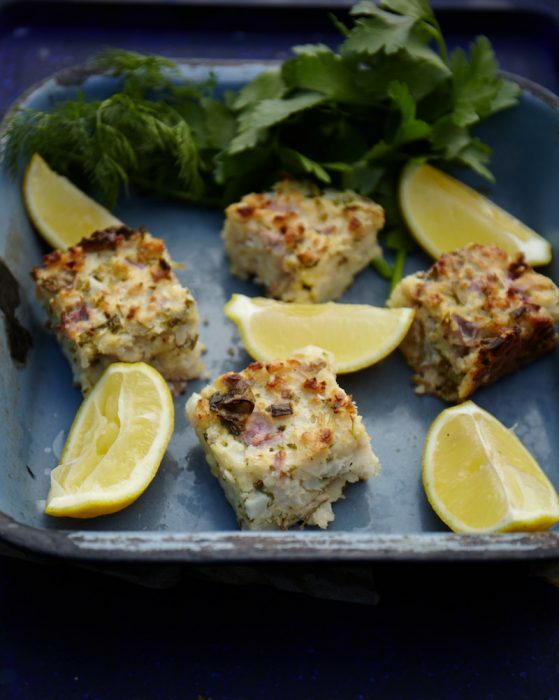 My children, whole family love it; the warming, pungent cumin and squeeze of lemon juice adds a delicious kick. 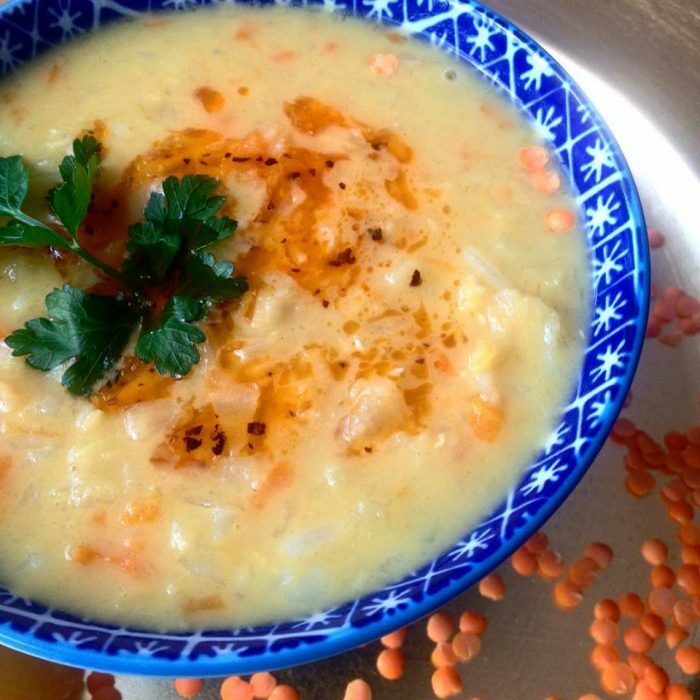 My daughter has been taking the soup in her flusk as her school lunch – so it can be a wholesome lunch alternative for school or work too. 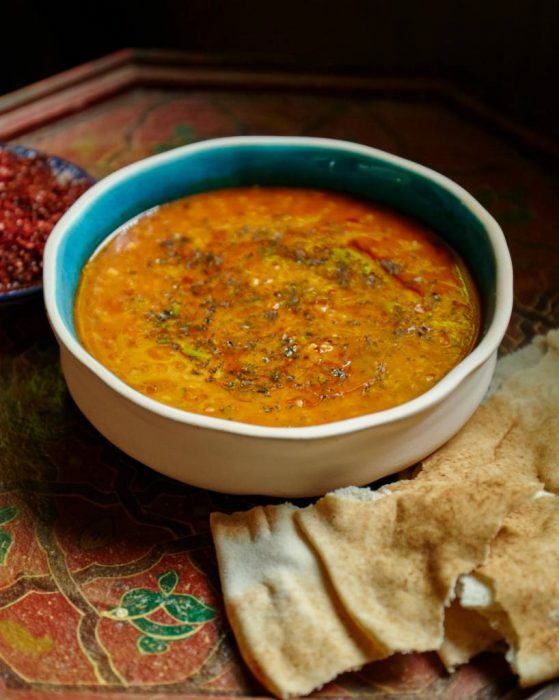 Here’s my recipe link for the lentil soup; needless to say it is included at my cookery book, Ozlem’s Turkish Table too. 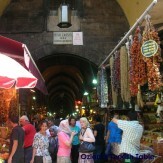 My sincere thanks for your company at my blog, always a pleasure to share my recipes and Turkish food news with you all.